I have downloaded loads of apps onto my iPhone. Most of them I use once in a while, and some of them not at all. Amongst my favorite apps is one called “Plane Finder 3D.” The opening screen is a 3D photo of the Earth, on the North/South American continents. Very quickly the screen fills with airplanes of various sizes that obliterate any view of the planet. Every little object is a plane currently in the sky. Touch any plane, and you instantly discover the airline, the flight number, the model number and manufacturer, the altitude, how long it’s been in the air, and when and where it’s landing. No, I am not a travel agent. I’m not even an avid traveler. In fact, I think of myself, after the title of a novel by Anne Tyler, as the reluctant tourist. I love “Plane Finder 3D” because it blows my mind, every time, to look up in the air, see only clouds, and yet realize there’s something more going on high above me. There are literally thousands of airplanes in the sky at all times, 24/7. I can’t hear or see it, but it’s real. And with a little help from some extraordinary tech tools, I can get a handle on what is going on. When we traveled last week in San Miguel Allende, Mexico, we saw beautiful gates and doors of so many shapes and sizes and colors. From the outside, they were intriguing. But what was behind those gates? One never knows. There could be a magnificent hacienda or a lush garden, a comfortable hammock and a grill, or a pile of garbage and a shack. We imagined what might be there and occasionally peaked and saw all the things I’ve described – and even more. What’s behind the door? What’s flying 6 miles directly overhead? Who knows? It is the intrinsic mystery of existence to embrace the power of the things that are seen and those that are unseen. Each and every one of us has some doors behind which we hide things from others, and sometimes, even from ourselves. The problem with the closed doors of San Miguel is all the beauty, and the pain and the “realness” of life are lost to we who stand on the outside. I’m not asking for the key to their homes or permission to enter their space – just the chance to bask in the beauty of life, piles of dirt and stone along with citrus trees and orchids. Life is so short, and we use so much energy holding the door shut. What would happen if we, somehow, dared to open the door? As Brené Brown teaches, If we’re going to find our way back to each other, vulnerability is going to be that path. We want to be with you and across from you. And we just want, for ourselves and the people we care about and the people we work with, to dare greatly. When you click on a little airplane in “Plane Finder3D”, there are few secrets. The plane is essentially stating: “Here I am, this is where I’ve been, and this is where I’m going, and I’m even going to tell you how I’m getting there.” I know. It’s simplistic. But the thing is, every one of us has an origin story. And each one of us has a thought or two about where we want to go before the story is over. Open the door. Tell your story. Share your heart and soul. Dare to be seen. As a child, few things excited me as much as outer space. I loved fantasizing the about distant stars and planets and aliens and asteroids. 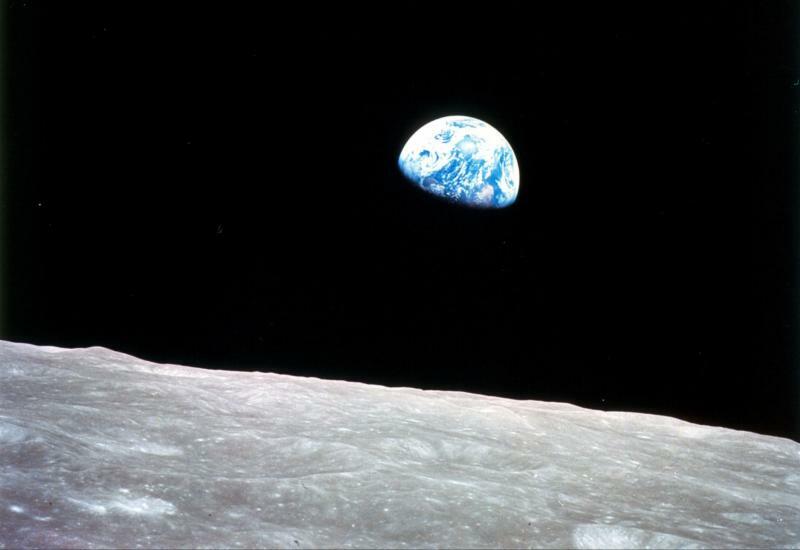 Will we be living on the moon someday? Will I walk on the surface of a distant planet? I didn’t know anything at all about space travel – but then, no one else did either, not really. It was a new frontier beckoning to restless humans, who have, since prehistory, looked up at the stars and the planets and wondered. When Alan Shepard took his sub-orbital ride, I was seven years old. I vaguely remember watching coverage of his trip and being amazed. A year later, John Glenn orbited the earth three times. I was hooked. I wanted to be an astronaut. I wanted to fly into outer space. Glenn’s trip in his tiny Mercury space capsule, the Friendship 7, made a significant impression on me and so many other baby boomers. It also made an impression on our parents’ generation who, after all, were the ones who dreamt up this wild notion of manned space flight. Not coincidentally, The Jetsons appeared on tv the same year Glenn was launched away in space. Is this what it will be like?, I wondered. Will all of us live this utopian lifestyle? Will we all have an AI robot like Rosie? My parents realized my interest in space was deep. 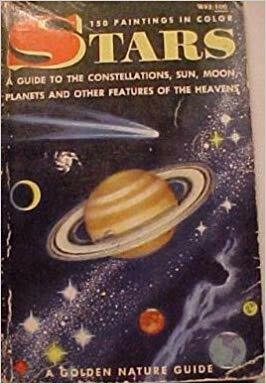 They bought me what may have been my first nonfiction: a little paperback, called Stars, by Herbert Zim, from a collection of science guides for kids, called Simon & Schuster’s Golden Nature Guides. I loved this book. I mean, I really loved this book. I must’ve looked it over a million times, and every time it was with reverence and glee. Stars was more than a good reference book for a curious child. It was a ticket that took me right off of this planet. I could imagine numerous space voyages. And in every imagining, I was on my own: isolated, quiet, streaking toward our nearest star (outside the Sun, of course), Alpha Centauri. I gazed at the illustrations often, which helped further the fantasy. My theory is that I needed to escape the semi-toxic world in which I lived; imagining an interstellar voyage was a great move. This may be why fantasy books for kids, like Harry Potter, for instance, are so compelling. It’s all about living in an alternate Universe, far from parents and school and the nonsense of labile peer groups and mean girls and bully boys. I don’t have the same need to escape that I had as a child. My life is so much more joyful, filled with a much greater sense of blessing over curse. I also know enough about space travel to know that I ain’t a candidate, because of my age, and because a ticket to space is just a bit outside my tax bracket (Elon Musk says that a one-way ticket to Mars is $10 billion; it only costs $250,000 to fly to where outer space officially begins…). However, I still look up at the nighttime sky with awe and amazement. And I still gaze upward with a new appreciation for what thinking about the stars gave me: a way out, an alternative to a harsh, capricious world. The ability to dream, to fantasize, leads us to believe in hope. This is the only world I will ever walk upon. Which is really ok with me. I will keep dreaming of other worlds. But I will take the fantasies of a better world out there somewhere and bring them earthward. I will be praying for, and working in this world. This is where hope is needed, now more than ever. But keep looking up. What do you want to be when you grow up? Baby boomers grew up hearing this question from our elders all the time. I don’t know why exactly. Perhaps it was that many of our parents were raised during the Depression. The memories of joblessness and homelessness were frightening and soul-scarring. Just the stories of those times and the optics of breadlines were enough to leave quite an impression. If you ask young kids today what they want to be when they grow up, they will typically not have a clue. If you ask the same kids the same question when they’re 20 or 30, they might still shrug their shoulders. So few students have a destination job in mind when they enter college – and when they graduate, too. And given how often they will change positions in the course of their lifetimes, I suppose that makes some sense. Millennials and younger rarely have an answer to the question. And if they do, often they will say, ” I want to be rich and famous,” or “I want to be a pro baller.” They want to be known like the Kardashians, who are famous for absolutely no reason (why ARE they famous?). What sort of human being are you going become? How will you use your education to be a mensch? Who do you want to be in the eyes of the world? In your own eyes? What are you willing to do to make the world a better place? These are the questions we should be asking our younger generations. And frankly, we should be asking these questions of ourselves.We should be wondering out loud what kind of legacy we want to create. We should not shy away from challenging ourselves to measure how much time we spend on deeds of lovingkindness. Climate change is ravaging the earth – right now. Antisemitism is growing. Asylum seekers are being treated like criminals. There’s work to do. I was born in Pittsburgh, PA and moved to Cromwell, CT in 1959-60.
where I was one of 3 Jewish kids. Christmas”? Do I say “Thank you”? Do I say nothing and feign deafness? Do I say “I’m Jewish – I celebrate Hanukkah.”? Holocaust experiences, I was surely aware of his unbridled rage that was always bubbling like some heinous, toxic brew. To mention anything that might tip that cauldron over was absurdly dangerous. And I knew this as lived experience. As Christmas music played and trees were decorated, and caroling could be heard in the land, I walked through the days as if I were in a minefield without a sapper. I know this sounds a little over-the-top. But it was as if I were a character in a Woody Allen movie, not quite knowing where I fit, or how. had no idea what boughs of holly were. stand there, mute? Or do I sing with gusto until I get to the name of Jesus, at which time I would mumble meaningless syllables? was singing about dreidels made of clay (“What the heck is a dreidel?”), and it felt like everyone was looking at me. Were they? I can’t imagine that many kids knew I was Jewish, but it sure felt that way. Hence, more angst. longer experienced terrible angst. I felt complete. Healed. Whole. let live; I can live with that. The comfort of the Hanukkah candles has never diminished. I still look at them and see in the light the reflection of peoplehood and continuity. We call Hanukkah a minor holiday – it’s impact is anything but. Liza and I received an invitation in the mail late last week to a Hanukkah party in Dallas, Texas. Even though we moved to Newton 21 years ago, we remain on the list of invitees. Every year, from 1986-1996, my children, my wife, and I would attend. It was a big, and always expanding group of adults and kids from Temple Emanuel in Dallas, the temple where my wife had her first pulpit position. The food was consistently great. There was always music and general fun. And the piece de resistance was always a Hanukkah piñata for the kids – this is Texas, after all. I have nothing but warm memories of those parties and the hosts who were always so genuinely gracious and kind. This year’s invitation was a picture of a Hanukkah candle lighting from a recent party. Nina, the hostess, is in the foreground. Around her are a number of young children and a few adults. I recognize no one else. So much time has passed since I attended their Hanukkah party: 22 years, in fact. In that time, so much has changed for all of us who are still on the party mailing list. Some of our kids are married. Some of our parents are dead. Some of us have grandkids. Some of us have been successful in our chosen professions. Some of us have been through tragedy and anguish. I don’t think I’ve spoken a word to Nina and Bob, the hosts of the party, since 1996-7. Are they retired? I can’t imagine, but maybe they are. Are their daughters all married or single? Do they have grandkids? Are they healthy? It’s obvious that we are no longer friends. At least, we’re not friends as the term is commonly understood. Whatever connection we had – and it was a really good and strong connection – has faded to a blur, as happens for so many of us who have moved around a bit. So why, if that is the case, did I feel this wave of nostalgia wash over me like a warm bath of love when I opened the invitation? Why didn’t it go right to recycling with a comment like, “That’s nice”? Why is the invitation still sitting on the kitchen counter? Because time collapses when face to face with experiences of love and God and community. Even though we do not talk, the love from those years still exists. I so appreciate this invitation, because it shows thoughtfulness and kindness. It means at some point when Nina printed out the address labels, she looked at our name and thought of us, if only for as long as it takes to stuff an envelope. I certainly think of Nina and Bob and their daughters as I look at the picture on the invite. I am transported back to the years we attended. I remember my son, Jonah, wildly swinging the piñata bat. I remember my daughter, Sara, swinging on the swing in the backyard. And I remember the sense of community we shared. The camaraderie of voices joined in Hanukkah prayers and then a rousing Rock of Ages, and the warm, fuzzy feeling of connection and love and family ties. Such moments, such memories, do not ever disappear. They reinforce our shared feelings of connectedness. They give our lives a kind of direction, a sense of meaning and agency. Sure, it’s fine to be with one’s own family for any given celebration. But the sense of unity, of sharing something sacred and timeless with others can bring us peace of mind that we can only obtain when in relationship with others. That’s why gathering just for the sake of gathering is so important in our tradition. That’s why in Hebrew, the word for synagogue is beyt Knesset, house of gathering. This is what Jews do, all over the world. And we love to share it with anyone who wants to absorb the glow of the candles and the beauty of being in community, in connection. Our years of Dallas Hanukkah celebrations remain not only as good memories fraught with nostalgia for yesteryear, but also as cherished experiences of Jewish life lived fully and in concert with others. Perhaps that’s our most important task at TBA: to build positive memories of Jewish meaning within community. The ritual or the activity is, in a way, secondary to the profound feeling we derive from gathering with purpose. In such a context we can learn what it actually means to be-here-now. And that is a priceless Hanukkah gift for which I will be thankful for the rest of my life. Come build some memories.